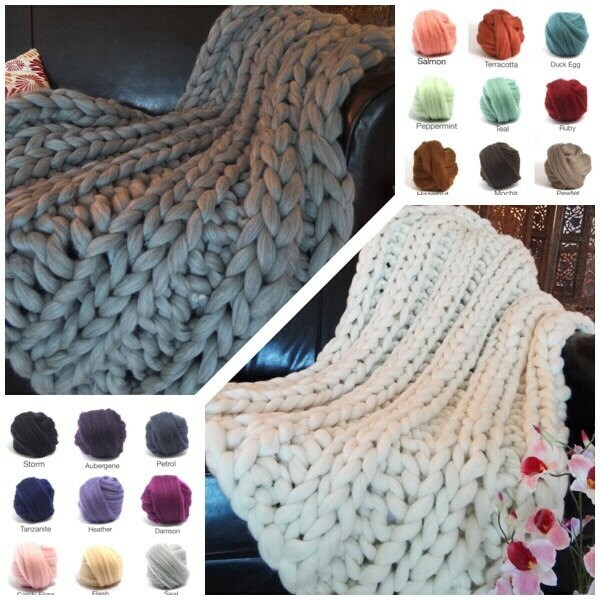 SMOOSH blankets are hand crafted from hundreds of yards of hand spun marshmallow soft Merino wool....not unspun wool....often unspun wool can shed a little too much for the softness, durability, and carefree enjoyment necessary for a treasured heirloom. 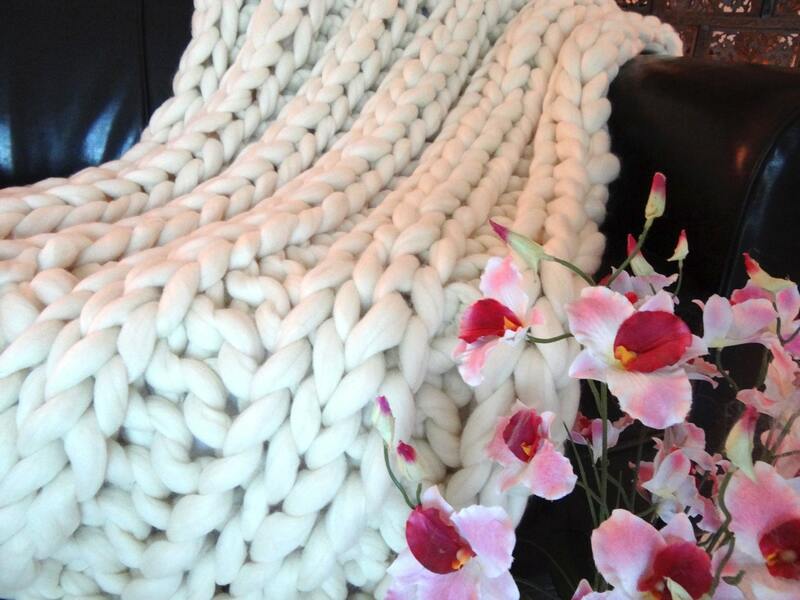 Merino wool is the pinnacle of softness, sought-after as a natural, next-to-skin luxury fiber. ** some monitors/devices show color differently. 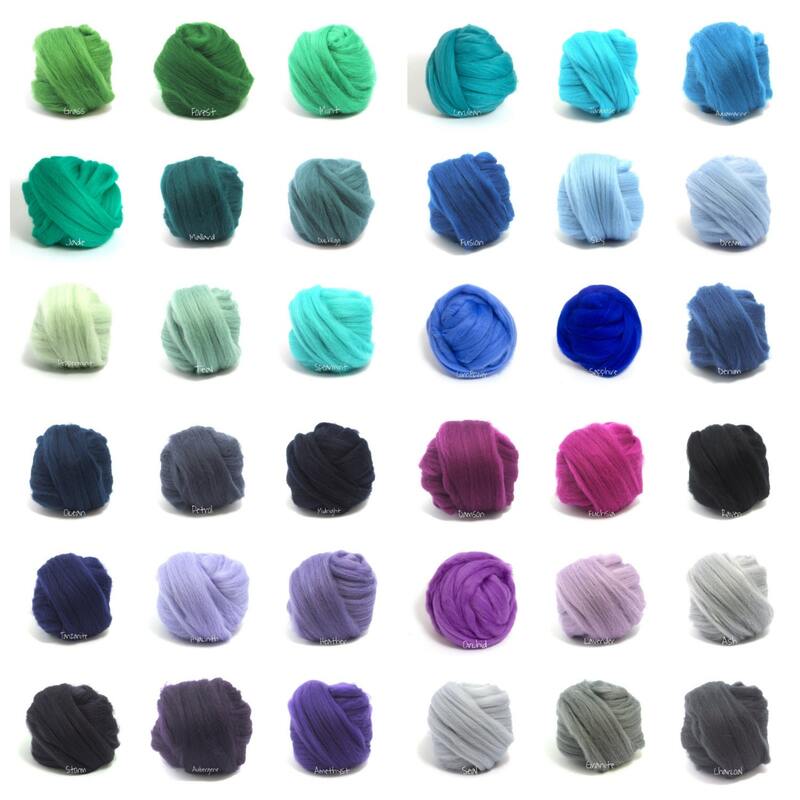 We can not be responsible for slight color variations ... All color purchases are final, and while we will try to work with you to ensure you are happy with your purchase, please understand each order is a large investment in product for us too. 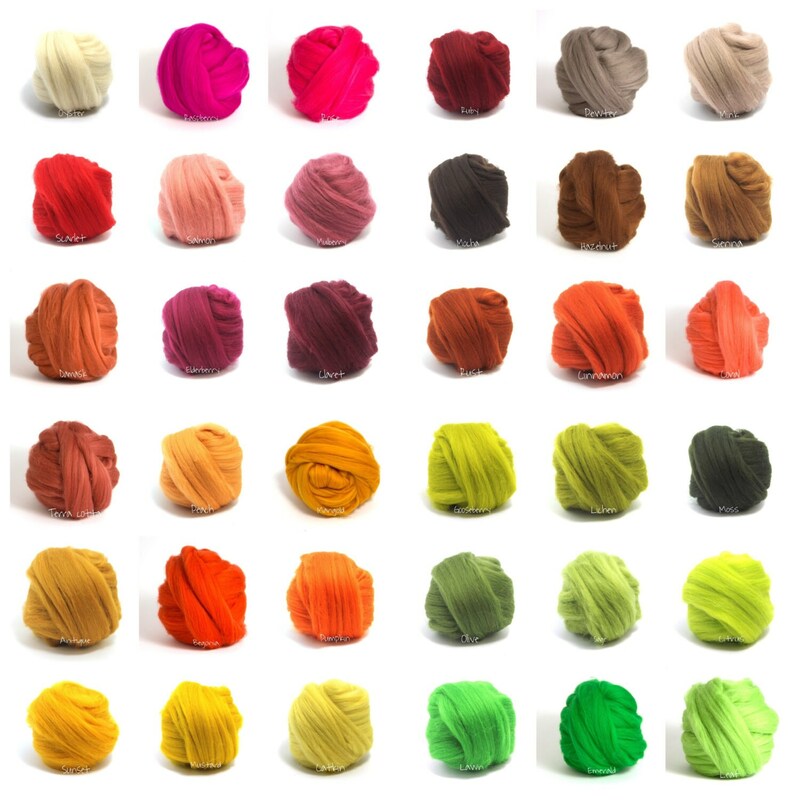 We can not accept returns on color orders, and exchanges will be determined on an order by order basis. 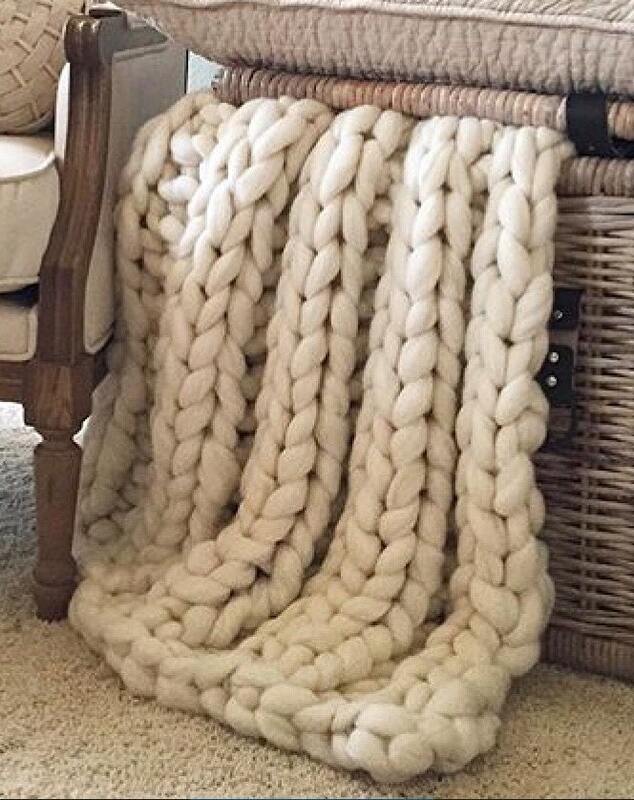 Large scale knitting is extremely moveable and can be morphed into about any look you desire, which makes it the perfect accent for that special spot. The knitting will actually grow a little with use. Shipping measurements are taken with items lying flat, slightly open. Some patterns compress more than others, but all will contain the number of square inches specified.